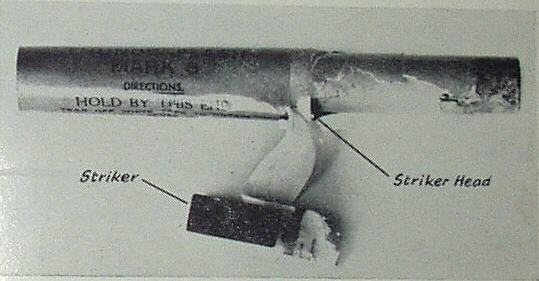 The thunderflash was used as a training grenade to simulate the explosion of a shell, mortar or handgrenade. It was made of a cardboard tube, open on one end with a friction fuze to the other end. The safe distance for use was some 30 metres from personell.